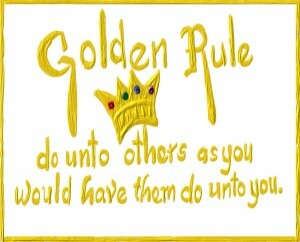 It reminds me of the Golden Rule, which is based on your behaviors: Do unto others as you would have them do unto you. Or, do no harm. It is a lovely sentiment, but often times people are spouting out these bits of wisdom, with no regard to their own behavior. Compassion begins with us–not with people “out there” who have wronged you. I think this Facebook quote was meant to dig someone, therefore putting the other person down while attempting to elevate the “poster” to look better. Have you ever had someone say to you: “I just have to be honest here…?” I’ve had someone tell me: “I have to speak my truth here…” and then they used their “truth” to criticize me using their feelings and judgments as the basis for their “truth.” They defended themselves by saying they were living authentically and that meant they could say anything they wanted to me. If they couldn’t speak that way to me, maybe it wasn’t worth having a relationship. Their ability to express their “truth” meant more to them than a connection with me. Living authentically does not mean giving your opinion under the guise of “truth” (feelings rather than facts). It does not mean making “you” statements like “you are such and such” instead of keeping it about yourself (I feel…..because I….). They may feel as though they are being authentic by expressing what feels real for them, but when you make it about the other person, when it isn’t based on fact, when the intention behind it isn’t honorable but really meant to put down another person–that’s not living authentically or by your truth. Your beliefs–living authentically–aren’t congruent with your behaviors. If you were to apply the Golden Rule, you’d see you’d come up short. This past week, I heard from a distraught father who’s experiencing severe parental alienation with his child. The father is behind on child support because he has lost his job, can’t get hired anywhere, and is now enrolled as a full-time student. He also has a new family to support with other children. The mother of his child recently moved 5 hours away, the second move in 2 years without the father’s knowledge or permission. Because of a loophole in the custody papers, the court has allowed this move. The mother had the son call up the father to get his email address. Then, she used her son’s email address to send an email to his father stating that the father could not see his son for Christmas unless he paid her the money (even though every week she comes to visit friends near the father’s home). She is a practicing Buddhist. Her actions are not congruent with her beliefs of compassion. Alienators cannot see how damaging and hurtful their actions are. They are too busy blaming their ex to even consider how their behaviors have contributed to the problem. Perhaps instead of “Do unto others as you would have done unto yourself” (because maybe in their minds it would be okay if their child were estranged from them and enmeshed with their ex?) it should be “Do no harm” because they are irreparably harming their child by keeping the other parent out of their lives. This past year has been an eye-opening year of growth for me. As I go deeper into my studies of Marriage and Family Therapy, I realize how much different this field is from psychology. It also has significantly affected the way I view my family-of-origin–both now and in the past. This type of work has affected me deeply–I don’t see the world in the same way anymore. Healing family-of-origin issues is tremendously helpful in your everyday present life (by the way, healing them doesn’t mean they no longer exist; it means you’ve taken the pain and sting away, and processed it in a positive manner; you’re not reactive). Healing family-of-origin issues affects your relationships–not just with your family, but with others too. It affects the way you interact in the world. I think the most profound growth I’ve encountered so far centered on Bowen’s family systems theory and his key concept of differentiation. I have had several clients who have had issues disengaging with their exes and this is where knowing how differentiated you are, ways to raise your level of differentiation, and how this can be applied to other areas of your life–can be invaluable! To read more about differentiation, click here: Bowen Theory–Differentiation of Self. This concept is also great when considering the fate of your children. Your goal: well-differentiated children. By the way, expect a backlash when you begin to work on yourself and get healthier. Some people will not like it and will feel uncomfortable–perhaps unconsciously knowing you are surpassing them or realizing they may have to do some work too. If you’d like to see differentiation in action, watch the movie “The Four Christmases.” This couple, who seems like they’ve done a ton of work on themselves, goes to each of their parents’ homes (the parents are divorced) to visit. What happens in each visit is indicative of people who get pulled into the emotional cauldron of family-of-origin issues that haven’t been healed; and they regress. Which is pretty funny when you’re watching other people do it. Sometimes the best way to learn about yourself is to watch others go through it! A person with a well-differentiated “self” recognizes his realistic dependence on others, but he can stay calm and clear headed enough in the face of conflict, criticism, and rejection to distinguish thinking rooted in a careful assessment of the facts from thinking clouded by emotionality. Thoughtfully acquired principles help guide decision-making about important family and social issues, making him less at the mercy of the feelings of the moment. What he decides and what he says matches what he does. He can act selflessly, but his acting in the best interests of the group is a thoughtful choice, not a response to relationship pressures. Confident in his thinking, he can either support another’s view without being a disciple or reject another view without polarizing the differences. He defines himself without being pushy and deals with pressure to yield without being wishy-washy (Bowen Theory, n.d.). So this week, if you’re visiting family think about your relationships with them and if they need to be healed. Think about how much power your family-of-origin has over you. Do you get reactive? Do you feel you regress? When you heal family-of-origin issues, it heals other areas of your life as well. Suddenly that gossip-monger at the office doesn’t hold as much appeal for you anymore. It’s no longer that much fun to put others down or to speak about someone behind their back. Also, think about how congruent your behaviors are with your beliefs. The world needs more people who live by the Golden Rule–not just believe in it, but truly live it! Absolutely! You know when you hear those words, something not very kind is probably following.